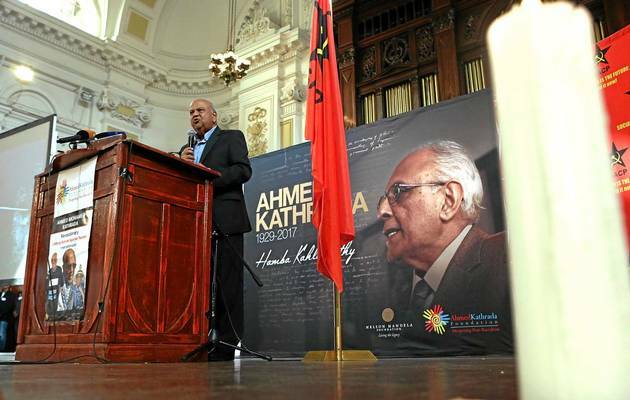 The organisers of a memorial service for ANC stalwart Ahmed Kathrada is scheduled to take place in Durban tomorrow (Sunday) and there are fears that Pravin Gordhan will be targeted by the ANC Youth League. Earlier this week ANCYL provincial wing of the league threatened to “squeeze out” former finance minister Pravin Gordhan following his call for “mass mobilisation against the current problems facing the country”. “I’m unashamedly encouraging mass mobilisation‚” Gordhan said at the Ahmed Kathrada memorial in Johannesburg last Saturday. Addressing the media on Monday morning‚ the league’s provincial chair Kwazi Mshengu warned that the organisation would challenge Gordhan on his declaration. The Active Citizens Group rushed to court late on Friday for an interim interdict to try and stop any disruptions at the event, to be held at Sastri College at 14:30 on Sunday, and compelling the police to enforce law and order. 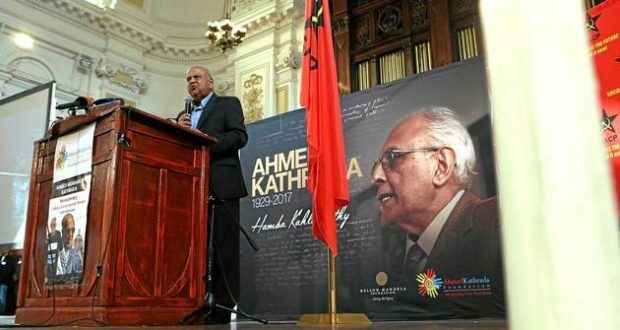 Former finance minister Pravin Gordhan speaking during Ahmed Kathrada’s memorial at the Johannesburg City Hall. File photo. In the urgent application, which is being heard by High Court Judge Rashid Vahed, the head of the organisation, Benedictor Madokwe, said 1000 people were expected to attend the memorial, including ANC struggle stalwarts and people from varied political, social and religious organisations. The youth league is at the court to oppose the application, and are awaiting a ruling. Madokwe said the memorial was intended to pay homage to Kathrada, but the organisers had no control over what would be said during the speeches. 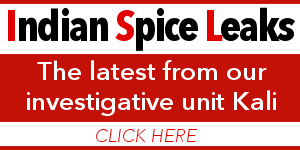 Gordhan has been labelled by the youth league as an “impimpi” (an agent for monopoly capital), and ANCYL national president Collen Maine has said that “Izimpimi” (a phrase coined during the struggle against apartheid to label a person suspected to be collaborating with police as a spy or traitor) should be dealt with as they were in the past. “It is common knowledge that they were killed, usually by being burnt with a tyre doused with petrol strung around their necks,” Madokwe said. 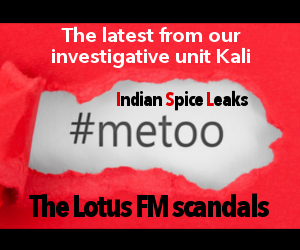 “In present times, it is the most serious accusation that can be directed at a person. Madokwe said the youth league was “mischievously” creating the perception that memorial services for Kathrada were being used as platforms to vilify President Jacob Zuma. The organisation’s legal team, which includes respected Advocate Kessie Naidu, SC, and his son, Vishalan Naidu, will argue that in the context of the remarks made, the threats by the ANCYL to disrupt the memorial were real. “There is a reasonable apprehension of harm and a clear threat of intimidation and violence,” they argue. If the interdict is granted, ANCYL members may not be in the vicinity of Sastri College for two hours before the memorial and an hour after it has finished.